A couple of years ago I bought this adorable tank top for Isabella at Gymboree. 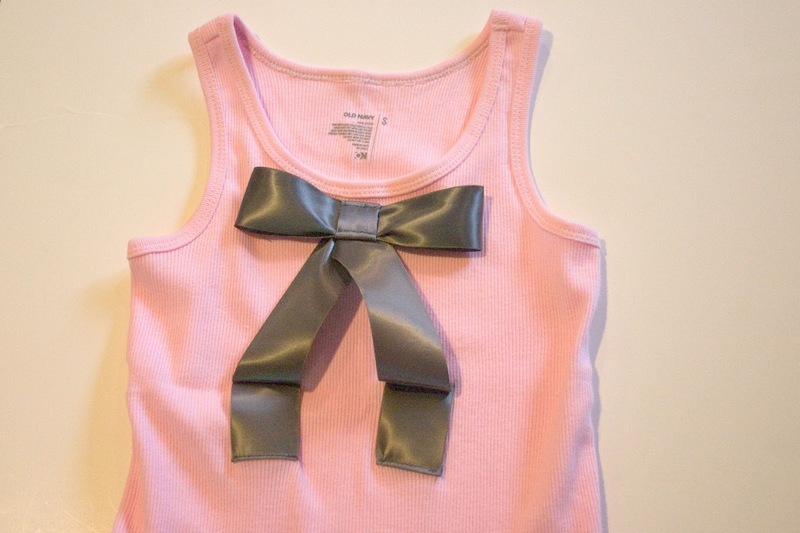 Now that she has outgrown it I decided to borrow this idea to make a plain tank top a little more girly. 1 1/2" Ribbon, 3 pieces - 6", 12", 16"
Step 1: Cut a 12" piece of ribbon and glue the ends to form a ring. Don't forget to treat the ends so they will not fray. Step 2: Pin the center of the ribbon to form creases and sew down the center to hold the creases. Or sew a basting stitch and gather. Step 4: Cut a 6" piece of ribbon and press the edges down. 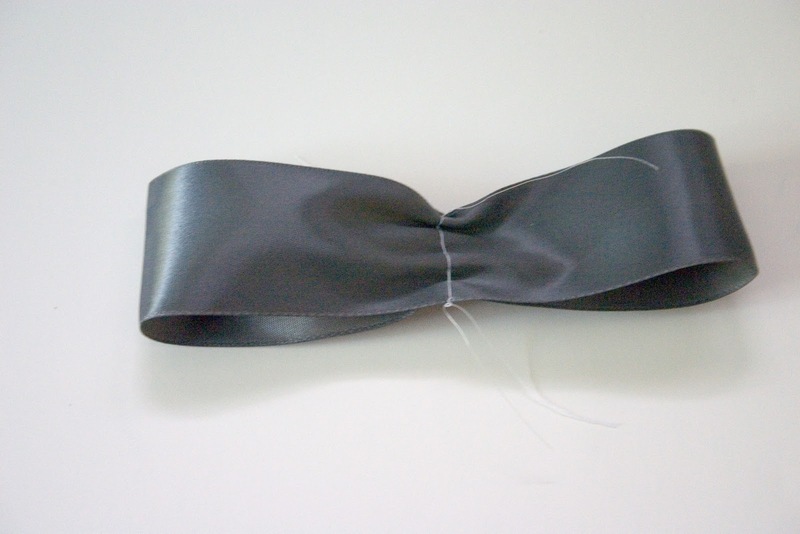 Step 5: Wrap the 6" piece of ribbon around the bow and glue the ends. Step 6: Cut a 16" piece of ribbon and fold in half. Pin the top to form creases. 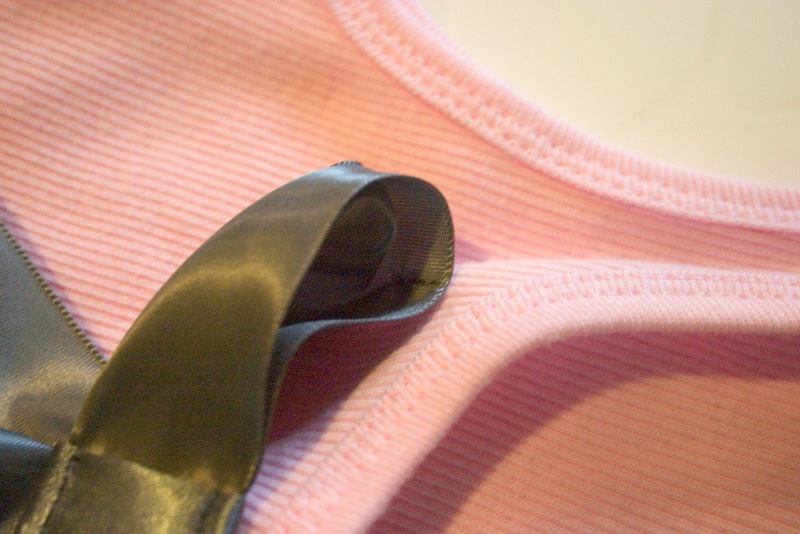 Sew across the top to hold creases. This will be the "tail" of the bow. Step 7: Pin the "tail" to the tank top and sew to top. Step 8: Sew the remain ends of the "tail" to the top. Step 9: Sew the middle and the ends of the bow to the top. Don't forget to stitch down the ends of the bow.